If you are not an employer, you can stop reading now. You don’t need to file a W-3 Form if you’re a wage or salary-earning employee. But if you have any kind of traditions employees (excluding contractors) then you’ll need to file a W-3. If you’re reading this then you’re probably new to running your business or just hired your first employee(s). In this article we are going to go over what a W-3 Form is, if you need to fill one out, and when you have to fill it out by. A W-3 form is a transmittal form basically containing the summation of all the W-2 forms of all your employees. 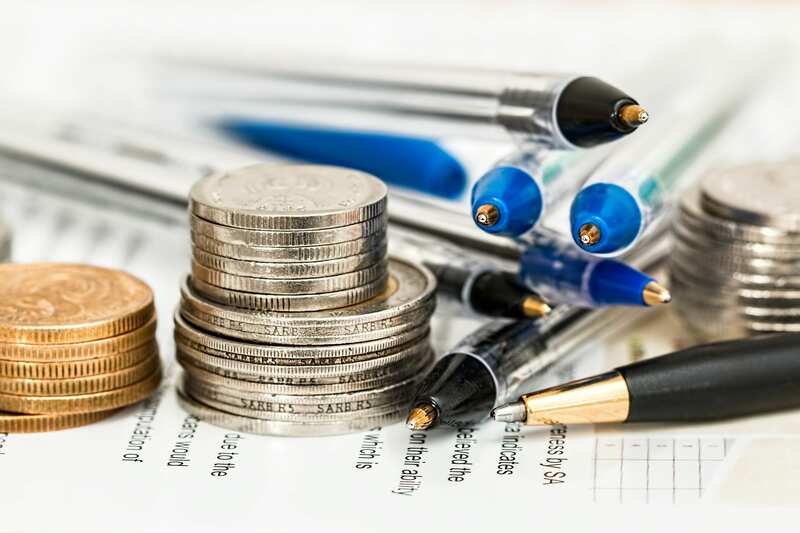 The title of the form is “Transmittal of Wage and Tax Statements”. You’re probably familiar with W-2’s, the W-2 form contains all the wages earned and all taxes withheld for the year. As an employer, you have to send one copy of every employee’s W-2 to the IRS. Along with the W-2’s as an employer you are required to submit a W-3 which contains a summary of ALL the wages you paid to employees along with ALL the federal taxes that were withheld. Do I even need to file a W-3 Form? A good rule-of-thumb to determine whether you need to file this form is to check if you send out W-2s to your employees. If you do, then you are required to also file a W-3 form. When do I have to file a W-3 Form? The W-3 form filing deadline is January 31st of the next year. For example for the 2017 tax year, the W-3 form is due January 31st, 2018 . The same deadline exists for submitting the W-2’s that the W-3 summarizes. Since the deadline for giving your employees their W-2’s is also January 31st, it is smart to give them their W-2’s earlier in January in case you have to correct any errors. The deadline is the same whether you’re filing electronically or by paper. Just like most tax deadlines, if the date falls on a weekend or holiday, the deadline is moved to the next business day. Who do I send my W-3 Form to? If you decide to file electronically the SSA gives you two free e-filing options on it’s Business Service Online website. Where to get my W-3 Form? If you search for a W-3 Form online, you can find it here. However, because it has to be printed with special red ink, you can’t just print that form off the internet. You will incur a penalty if you attempt to print and use that pdf. If you file by paper, you have to buy the W-3 Forms the same place you buy your W-2 forms. Another option is to have your payroll processor or tax preparer do them for you. How to prepare and fill out my W-3 Form? Field d is asking you to identify separate establishments in your business. You may file a separate Form W-3, with Forms W-2, for each establishment even if they all have the same EIN; or you may use a single Form W-3 for all Forms W-2 of the same type. Fields f and g ask you for your business name and address. I’m hoping those fields are easy to fill out. 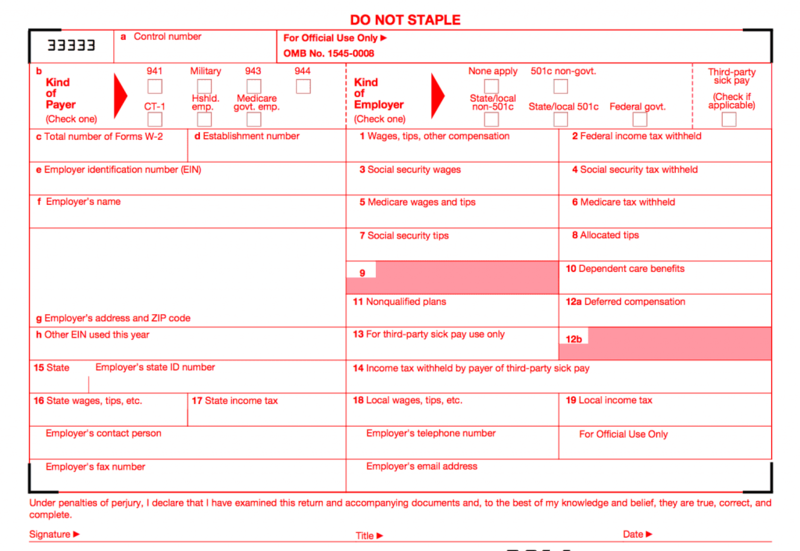 Boxes 1 – 14 are the totals of the information found on the individual W-2s. Boxes 15-18 are the totals of the state information found on the individual W-2s. The official instructions for filling out the W-3 form can be found here. What if I make an Error on my W-3 Form? Because the deadlines for issuing W-2’s to employees is now the same deadline as filing your W-3, it is recommended that you give your employees their W-2s as early as possible to allow yourself ample time to fix any errors on the W-2’s. An error on a W-2 is likely to cause an error on your W-3 form. If that happens, you’ll be required to file a W-2c and a W-3c form. Hopefully, after reading this you can stop asking yourself, what is a W-3 form? It is the Transmittal of Wage and Tax Statements form. You only need to file this form if you have employees. The deadline to file the W-3 form is January 31st.